With the former, one can immediately identify two groups: Student Organization for Democratic Alternatives (SODA) at CUNY, and Aynah in the Midwest. SODA currently has two official chapters: Queens College, and Hunter College. Aynah has three chapters: Earlham College, Luther College, and St. Olaf College. 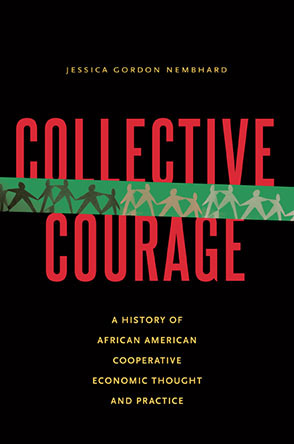 While the two groups differ in a number of ways, they’re similar in their heavy connection to off-campus cooperative movements and activities. Registered as a nonprofit in 2012, Aynah is connected to a number of cooperatives in the United States. Recently, Aynah took a spring break trip to Greensboro, North Carolina to explore the cooperative movement there. In the process the trip aimed at building internal solidarity as well. Founded in April 2014 SODA is a founding member of the NYC Worker Cooperative Coalition, and the sole student group in the coalition. In June 2014 the NYC Worker Cooperative Coalition successfully pushed for the historic $1.2 million USD Worker Cooperative Business Development Initiative. Allocated by the City Council, New York City set precedent for municipal investment in cooperative development. SODA is also the student affiliate of the NYC Network of Worker Cooperatives – the business association of worker cooperatives in the New York metropolitan area. Currently, SODA is in the midst of a campaign to bring participatory budgeting to Queens College. Thus far, the campaign has been met with success, as Queens College’s dominant student political party has since pledged to allocate 10 percent of the student government budget through participatory budgeting. Beyond its educational function and on-campus political activism, SODA also strives to connect students to job opportunities in worker cooperative development, as well as in worker-ownership. Based in Red Hook, Brooklyn, KALUK’s development has included the help of Center for Family Life and Good Shepherd Services. Founded with five members, KALUK has since expanded into double-digit membership. Two of the founding members, Aida Pedroza and Luis Fernandez are twenty years old and students right here at CUNY. In an interview with Fast Company, Fernandez spoke of KALUK community outlook: “We all pretty much come from Red Hook so our main priority is to help the community here." Center for Family Life is incubating a second youth worker cooperative. This time it is a tutoring worker cooperative called Sunset Scholars. Based in Sunset Park, Brooklyn, at least twelve of the seventeen Sunset Scholar worker-owners are under the age of 29. The idea for Sunset Scholars grew out of the social needs of Sunset Park. With a large Chinese community, Center for Family Life social workers took increasing notice of the cultural alienation experienced by Chinese youth returning to United States schools. They found a number of Chinese youth from the United States spent a number of their early years in China. One of the effects is that many Chinese students have found it a trying experience in navigating the U.S. educational system. As a result, many have found it difficult to keep up their grades and ultimately stay in school. Center for Family Life felt a tutoring worker cooperative could be a means to tackling the issue. The worker cooperative would be largely tailored to such returning Chinese youth so they would not slip between the cracks. Thus, Sunset Scholars is composed of a number of Chinese-speakers who offer one-on-one tutoring services. I was personally inspired by the January 29, 2015 open house for potential worker-owners. The impact of various worker cooperatives incubated by Center for Family Life was immediately felt in the room. One could not simply sense, but hear the ways in which worker cooperatives had impacted youth in Sunset Park. In Northfield, Minnesota – a town with a population of twenty-thousand – a sustainable agriculture worker cooperative has formed. Launched in December 2014 Finca Mirasol Cooperative includes ten worker-owners. All ten are aged 20 or below. One may find parallel’s between Martin’s statement and Freeman’s analysis. Martin hints at the need to formalize tasks and management. The tyranny of structurelessness can take on the double-edged sword of one person or one group of people shouldering the burden of labor, and producing an informal but quite apparent hierarchy. For those can aiming to build non-hierarchical structures, neither are acceptable. Counter to what many may think, however, formalization – institutionalization – is a step in the right direction. Just as cooperatives mean different things to different people in general, the same applies to youth. Nonetheless, there are exciting possibilities for forming a youth movement that aims to transcend capitalism. The seeds for this are there, and in the last two to three years we’ve seen promising growth. Beyond the above mentioned campus student groups and worker cooperatives, it is necessary to note the USA Cooperative Youth Council (USACYC). Founded in January 2012 “USACYC facilitates & strengthens the engagement & influence of youth in national & international cooperative movements through participation, opportunity, & identity.” Because of USACYC, organizations such as Aynah, SODA, and Finca Mirasol Cooperative have made contact with each other and are striving to build a true nationwide youth cooperative movement. The focus is not simply worker cooperatives, but on a whole panoply of alternative institutions. One key objective is to foster cross-sectoral alliances as well as cooperative production and supply chains. *Alexander Kolokotronis is a BA/MA philosophy student at Queens College, City University of New York. He is the founder of Student Organization for Democratic Alternatives, a former Worker Cooperative Development Assistant at Make the Road NY, and the Student Coordinator for NYC Network of Worker Cooperatives.This piece was adapted from the GC Advocate of the Graduate Center of the City University of New York.